After starring in the Hollywood actioner Ninja Assassin, completing a world tour, and taking a hand at producing his own boy band, Rain is back in Korea, and back at what he does best. 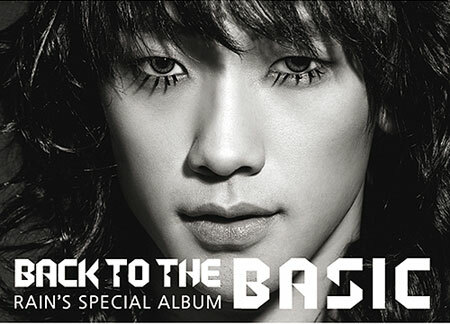 Rain's anticipated special mini-album Back to the Basic comes with five new cuts, including one English song. The album's title is a reflection that Rain, though now an international superstar, has never forgotten where he started, and approaches his music with the same ambition and attitude as he did eight years ago as a newcomer. Rain himself penned the album's main track, the ballad "Love Song". Note : After downloading the file, change the file's extension from .NHB ==> .rar then unrar normally.